“Winter knocking on the doors, leaves are falling; and we are bringing down the size and price of 6-inch label printers! 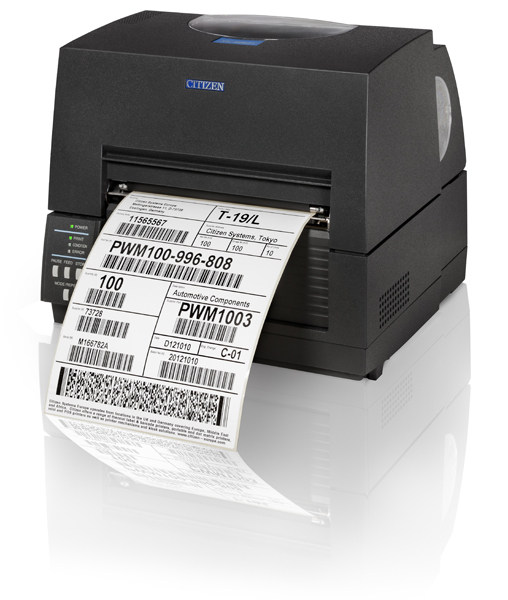 After hard development work, we are more than happy to launch Citizen’s brand new 6-inch label printer – the CL-S6621. The CL-S6621 is a 6-inch version of the successful and well-known CL-S621, bridging the gap between 4 and 8-inch printing solutions. The unique printer configuration makes it almost two times smaller than competitive products. Also it has a 50% lower price than an average 6-inch printer while making no compromise on performance. The formula is simple: half-size, half-price! You can find additional information about CL-S6621 in the datasheet and official press release attached. The CL-S6621 printers will be available in Citizen Europe’s stock starting from the end of November 2012. The SSP of 1.349,00 EUR will be discounted with your standard rate. Order code is 1000836, and you can pre-order your printers now! European Marketing Manager for Citizen System Europe. Tel: 020 8893 1900. Fax: 020 8893 0080.